Interviewing took place during November 2016 and involved speaking with many different users of the website. Users of the site internally at the company use the cms to set up the website with the content and functionality, there are three main users who do this. They all find the CMS reasonably easy to operate, but find it lacks functionality, and think added features such as a live edit mode, a cleaner user interface and inline editor would streamline the editing process of a website. Users of the site externally, the clients, use the cms to edit smaller things on their site to keep up to date with their site reports which include data on how many people have visited their website over a period of time. 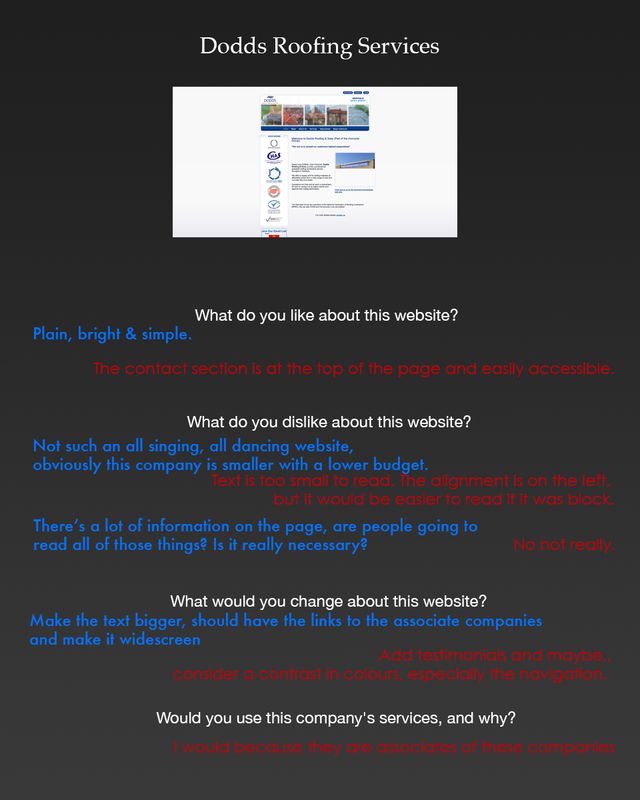 Their biggest issues of the site were related to ease of use and overal functionality. They found that when they became stuck with an issue, they would often call the business, a great way around this would be to have a brilliant Q & A section built into the search feature. The search feature should also have the functionality of being able to find any page/image contained within the cms. These two features combined with the features mentioned by the developers would make the use of the cms much more simple and easy. 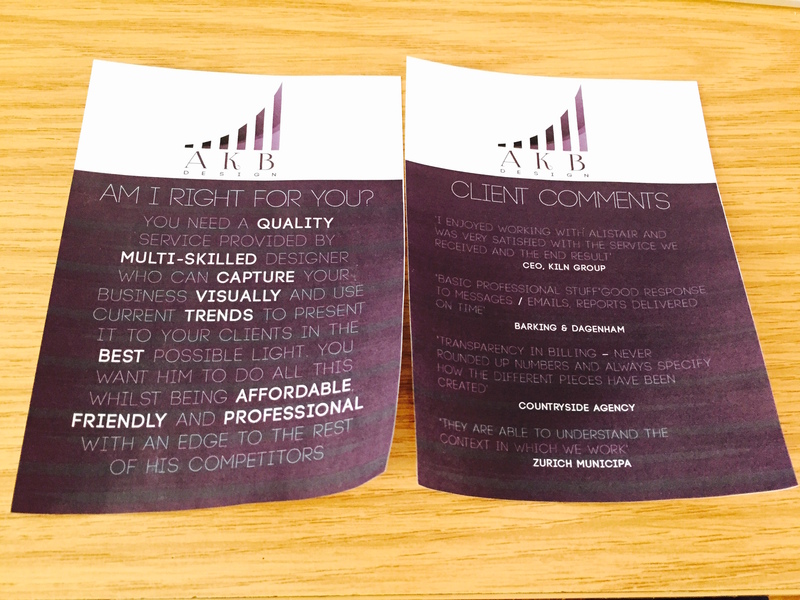 After the proposal of the project made to the tutors of my course, I went to the client and made the same proposal. This was to ensure everything I was planning was what they had asked and expected from my work, a few differences were noted early on and there were a few elements that were changed . This is what the client and I discussed during our meeting. The content management system I am designing and developing should be built as the tool for the lawyer market, therefore defining the audience further. 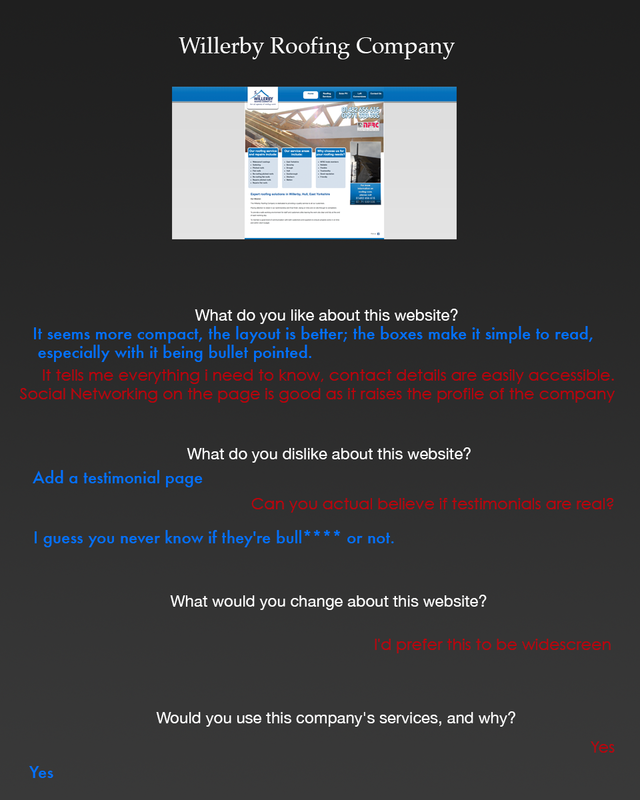 More complexity is required but the overall site is required to look less complex. The help guides are not worthwhile, the client thinks that instead of using help guides, the cms should have tooltips or labels on the site explaining each step as the user arrives at it. The user is not to have access to designing layout of the site but only the content. The cms shouldn’t offer the ability to add/remove content columns. Though customising different layouts of a certain page should be an option to the customer based on a multitude of different themes. 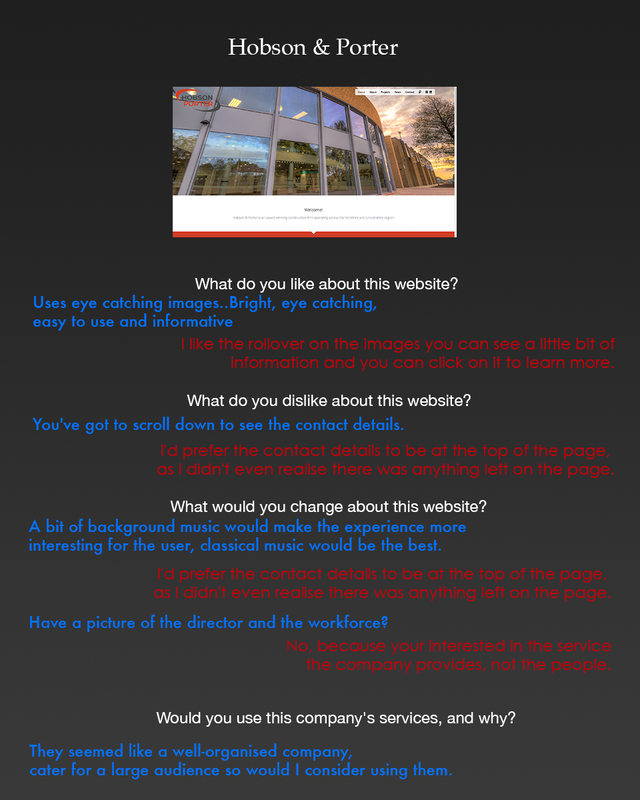 The client requires a website creating to promote their business in the local area surrounding Hull. 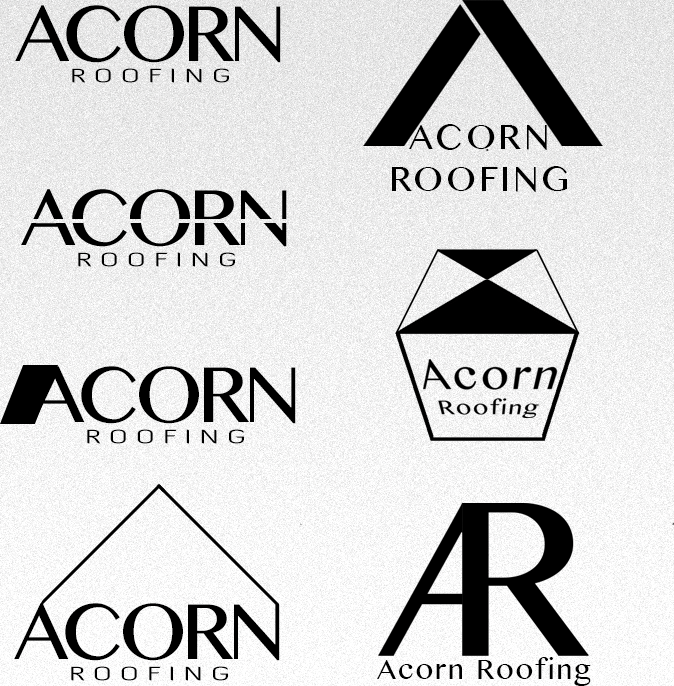 They are called Acorn Roofing and require somewhere to tell their potential customers about their business, show the portfolio of work and give them the contact details they require to contact them. 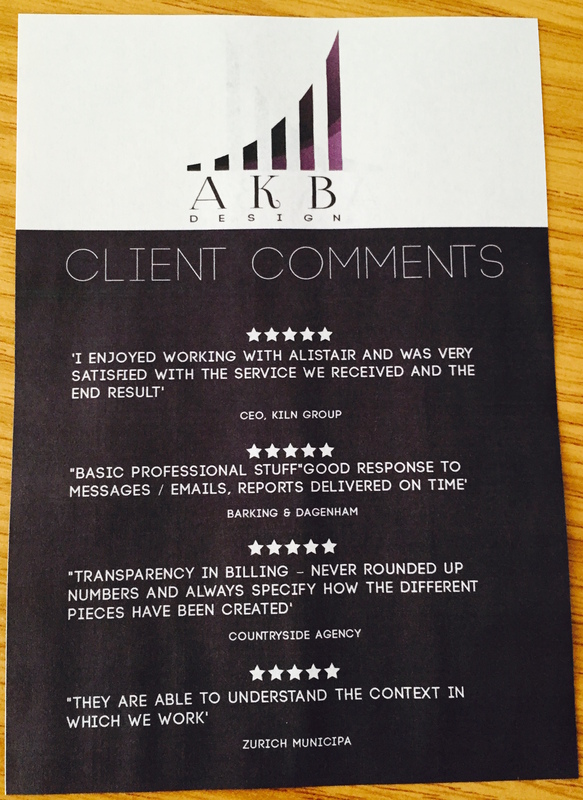 They obviously want to portray a reliable, upfront and fast service to their customers. The service will be used by people who need their roof fixing, which is obviously, something that usually needs doing fast, but at the same time, certain jobs can be bigger and take longer to consider, the client needs to show that they can handle any job, regardless of how small or large the task may be. I need to make sure the customer is aware of the company’s reputation by showing that they have had years of experience in the market. This can be done using before and after photos of a roof in which the company has worked on. Social networking can also be linked with the page to help advertise the company further for free, by showing people that the work the client does improves the neighborhood and will create intrigue and more potential customers. I need to look at competitors to see what works for them, I contacted many local businesses to see how their website create leads for their businesses, many did not reply or were unable to give me the information I required. I also did a bit of research of a couple of interesting sites, some I thought were good, some I thought were awful, I did a bit of research on the amount of staff they had and how much the company brought in financially. I then got a group of people together, allowed them to use the website for a few minutes and then asked them questions about their experience so I could understand what are the best things to implement in my own initial designs. Hobson & Porter is a local business that deals with “Commercial, Housing, Healthcare, Industrial and Education property”. It staffs approximately 132 people and has average yearly revenue of £48,804,256. 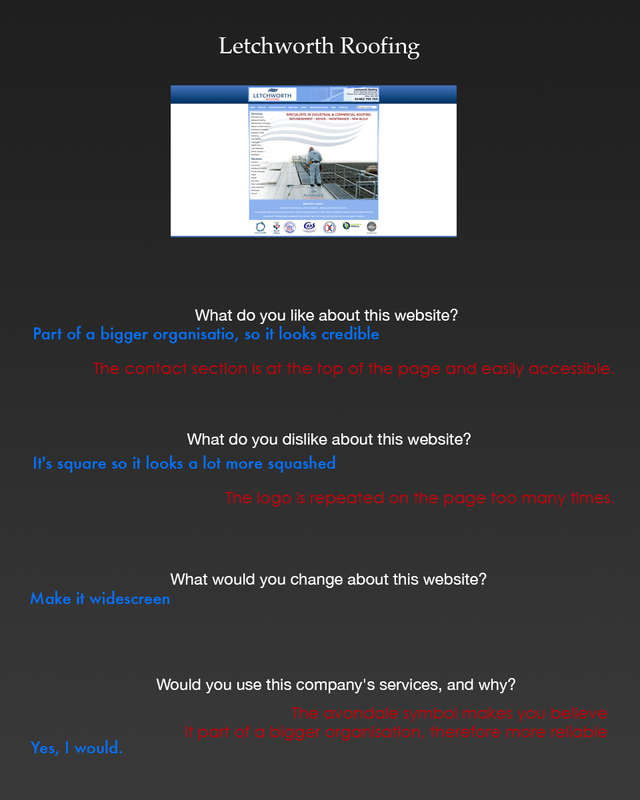 Their website is broken into 6 sections, home, about, projects, news, contact, search and social networking. I sat with a focus group and decided what was good and bad about this website. Dodds Roofing Services is a local roofing company that deals with commercial and industrial properties. They are a much smaller business in comparison to Hobson & Porter as stated on their site H&P deal with multi million pound investments while Dodds Roofing are on a much smaller scale. 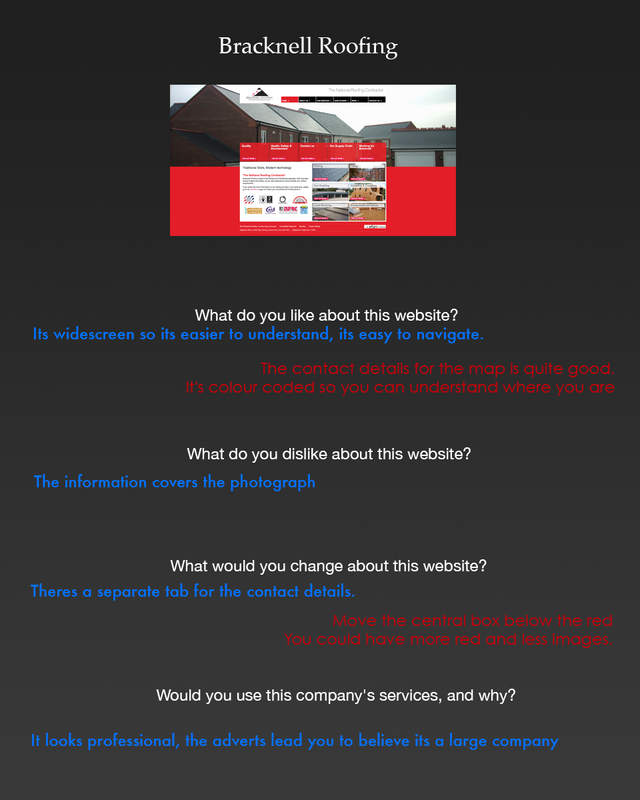 You can see this in the style of their website and the design, again I sat with a focus group and tried to determine the good and the bad. Willerby Roofing Company is a Yorkshire based company that works on commercial properties. Key aspects of the work they do include solar and loft conversions, they aim to hit a different target audience compared to H&P and Dodds. They tend to a large area but aim to complete a lot of work in this area. This is very much how Acorn Roofing operates, so the feedback I get from my focus group is going to be very important to the development of my initial designs. Bracknell Roofing are a nationwide roofing company that deals with commercial properties. They are part of a multi-national group Etex group which has a yearly revenue of 1.8 Billion Euros. Operating in 42 countries with roughly 13,500 members of staff worldwide, this company are pretty big. I should definitely be taking what I learn from our focus group for this site and seriously considering it for implementation in my initial designs. Letchworth Roofing are a large contractor working in the area of Lancaster. It deals with Industry, commerce, building surveying, retail, health, education and churches. They have a workforce of over 50 people and have made in exccess of $8 Million. They have been operating since 1971 which is still 8 years less than H&P who have made 5x times more than Letchworth. This would indicate that H&P are one step beyond it’s competitors, or that Letchworth aren’t up to the mark, let’s see what our focus group make of their site. Which one of the five do you prefer & hate? Hobson & Porter is more proffessional. They look like they do bigger projects, but depending on the size of your build, you may think they aree too big. 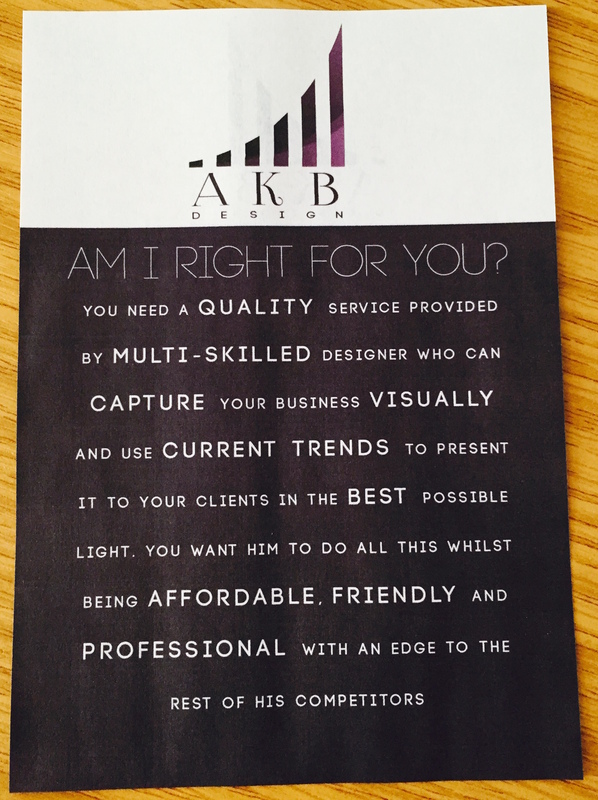 -Yes I would agree, it is bright, takes full advantage of the screen, colourful and simple. Dodds is the worst, it looks more complicated with too many tabs. It just doesn’t grab me. -Its not very informative, not easy on the eye, the images are too small.